management), massage therapy can be a powerful ally in your healthcare regimen. Researchers say the incredible benefits of massage are doubly powerful if taken in regular “doses.” Professionals at the Touch Research Institute at the University of Miami explain the more massage you get, the greater benefits you reap. – Asthmatic children show better pulmonary function. – Arthritis sufferers note fewer aches and discomforts. – Burn injury patients report reduced pain and anxiety. sufferers have decreased water retention and cramping. – Preterm infants have improved weight gain. Research continues to show the enormous benefits of touch–which range from treating chronic diseases, neurological disorders, and injuries, to alleviating the tensions of modern lifestyles. at consistent intervals is truly an investment in your health. And remember: just because massage feels like a pampering treat doesn’t mean it is any less therapeutic. Consider massage appointments a necessary piece of your health and wellness plan, and work with your practitioner to establish a treatment schedule that best meets your needs. 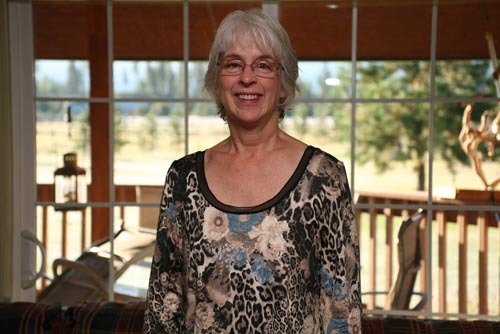 Jan Rudeen joined the Moore Chiropractic team on April 2012 as a Certified Massage Therapist. She holds several degrees and certificates from the University of Washington, Western Washington University and Central Washington University. She specializes in deep tissue, relaxation and lymphatic massage therapy. Be sure to ask her for a one time free 15 minute massage by mentioning this website.